Tim Rokka of SaabsUnited.com wrote about Kai Johan Jiang, the man behind NEVS who purchased Saab Automobile’s assets. The article mentions things such as Mr. Jiang living in Trollhattan to be near and focused on building this new car company, and Mr. Jiang also resigning his position as CEO of National Bio Energy which will allow Mr. Jiang to be completely focused on making a success of NEVS. I suggest you read Mr. Rokka’s article as it offers interesting insights into this man (Mr,. Jiang) behind NEVS, which at least for me, gives me encouragement that this new car company has a dedicated person behind it, who Mr. Rokka rightfully compares to Victor Muller and his unending commitment to Saab and the people of Trollhattan. As stated here previously I know that we may not have the chance to own new NEVS cars anytime soon here in the United States and we may not be suited to being electric car owners and drivers, but I’m pleased to see such commitment on the part of Mr. Jiang and do hope that this translates into allowing the many talented people from Saab Automobile to flourish as never before. Thanks to Tim Rokka for the article recapping what he has learned and to Mr. Jiang for his commitment and vision. Once again I wish NEVS well and most of all, the people of Trollhattan. While some people in the Saab community dismiss such news, which may be wise when we know so little about what will become of Saab Automobile, or whatever it may be called, I’m disappointed to see that some of us see this news in a negative light and as hollow or inappropriate cheer leading and bash Tim’s article. Honestly, I would love for nothing more than to be able to buy a NEW, classic Saab 900 Turbo, or better yet, a NEW Saab 99 Turbo or something like that. As much as I love all Saabs, the newer designs are not as unique and appealing to me as the older designs. Such is life. These thoughts did not stop me from thinking the newest 9-5 was a gorgeous car to look at and even more so to drive. However the fact remains, the most recent 9-5 wasn’t a 99 Turbo. I’m personally disappointed even though I know that producing a new 99 would likely not have been a financially wise move for Saab. So I supported what Saab did knowing that with the limitations it faced, there were precious few practical choices for Mr. Muller’s era of Saab. However, failing to be appreciative of what Mr. Muller did and whatever Mr. Jiang may now hope to do is upsetting to me. Even if the former employees are rehired and the new cars they build are electric, and destined for China, I strongly believe that being enthusiastic for the people of Trollhattan is the least I can do. Complaining about the fact that I’ll likely never be able to buy a new 99 Turbo, or whatever any of us wants is insulting to the people of Trollhattan in my opinion. My gosh I am simply dismayed that EVERY Saab car owner can’t try to keep the former employees and their well being and ability to put food on their tables ahead of our own selfish wants and needs. Thank you again Tim for this article even if it isn’t as widely supported as I’d hope, for the sake of the people who made Saabs for all of us to own and enjoy. They are however, just machines. Fantastic machines, but machines. The people of Trollhattan who made them ought to be more valued than the metals they sculpted which we all own. 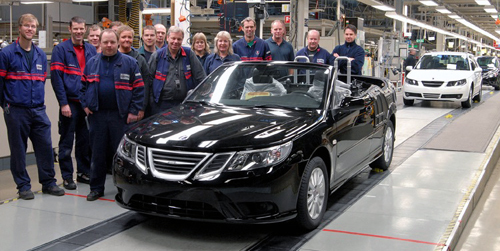 « What made me a Saab fan? Excellent post! We all carry a gamut of emotion about the sad demise of Saab as we know it. But it is, indeed, the people of Trollhattan to whom we owe a huge sense of gratitude. 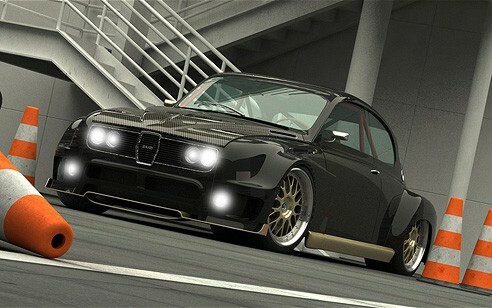 For without them, there would be no Saab. Thank you, thank you, thank you!